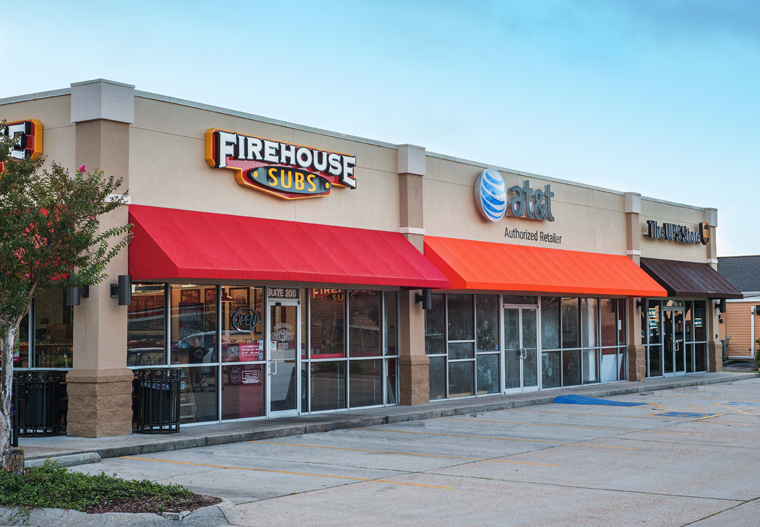 This former Blockbuster at the corner of Beauvoir Road and Pass Road was acquired by Net Lease Developers in 2012. The 6,300 SF building was redeveloped and subdivided bringing three new retailers to the neighborhood trade area. 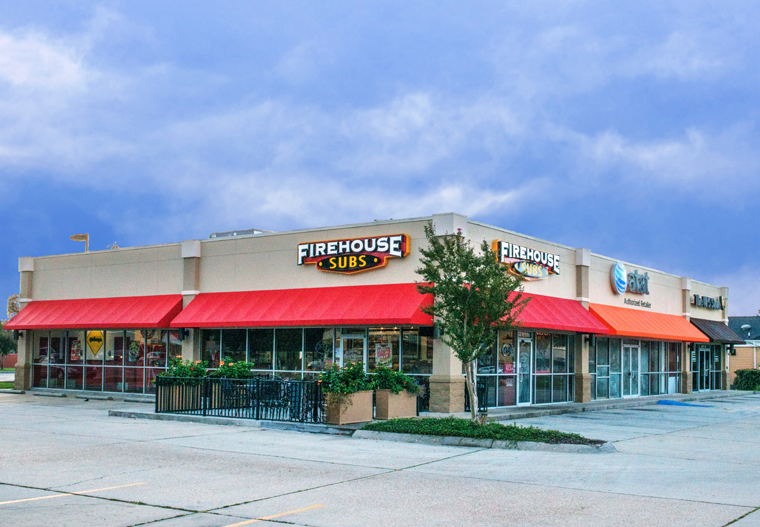 The location was the first Mississippi Gulf Coast location for Firehouse Subs and the owners have experienced record sales. 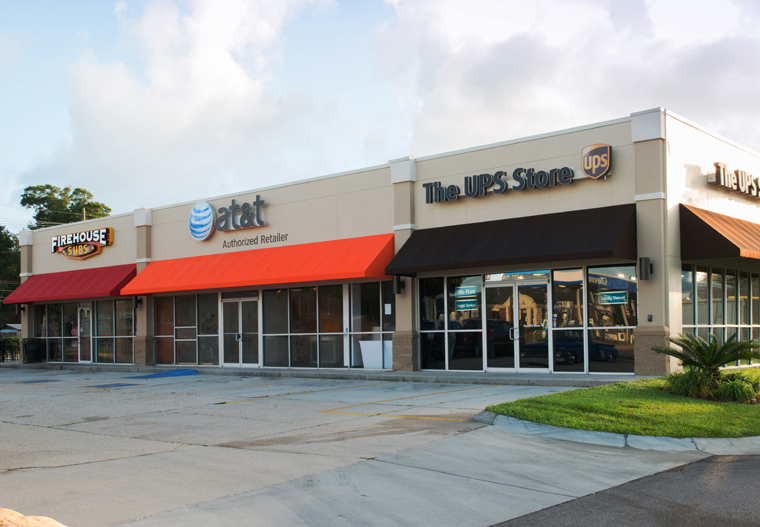 AT&T Extreme Wireless (2,681 SF) – In addition to wireless communications equipment and services, the AT&T Authorized Retailer offers AT&T U-verse and advanced TV services, as well as Small Business solutions. 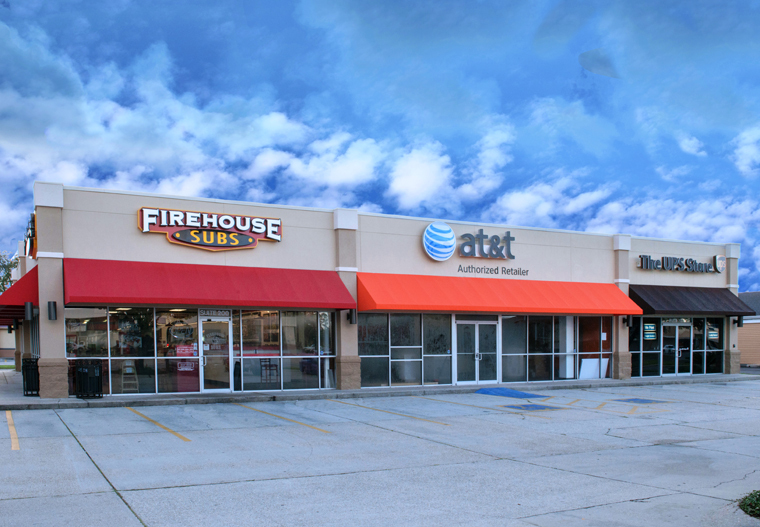 Firehouse Subs (1,960 SF) – Firehouse Subs was founded in 1994 by a pair of former firefighting brothers in Jacksonville, FL. Today there are more than 600 locations across 35 states and Puerto Rico. Mississippi locations include Southaven, Oxford, Starkville, Flowood and Hattiesburg. The restaurant is known for its steamed meats and cheeses, private recipe sub rolls, and its Firehouse Original Cherry Lime-Aid. The UPS Store (1,540 SF) – The UPS Store Offers digital printing and document finishing, mailbox services, packaging materials and services, shipping and freight and much more. The property was sold in 2016.